A huge victory for the former NXT Champion. 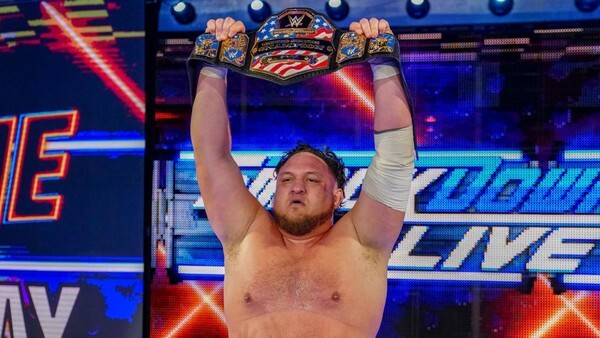 Samoa Joe is your new WWE United States Champion, having defeated R-Truth, Rey Mysterio, and Andrade to capture the belt on last night's SmackDown. 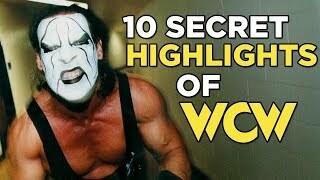 The match was put together through Truth's open challenge segment. Lacey Evans was the first to strut out, before fulfilling her recent gimmick and disappearing seconds later. Joe then emerged as the first real challenger, followed by Rey, then Andrade, and the bout kicked off. It was an excellent Fatal Four-Way crammed with fast-flowing, adrenaline-fuelled action, worked at a berserk pace, with all four playing their roles well. The Andrade/Mysterio interactions were particularly electric, but Joe eventually scored the victory by breaking up Rey's post-splash pin attempt, hitting a senton, then finishing his opponent off with a one-armed Uranage. Truth's United States Championship reign ended at 35 days with just one successful defence, while Joe has just notched the first title of his main roster career. Fans had been left wondering if this moment would ever come when he continually failed to beat WWE Champion AJ Styles last year, but he got his gold last night, albeit in a secondary division. Here's hoping for a long, prosperous reign for Samoa Joe.